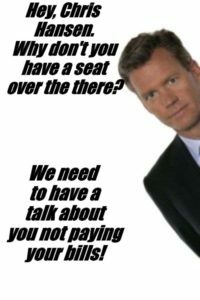 Creditors Are Hunting “To Catch A Predator” Host Chris Hansen For Millions Of Dollars Of Unpaid Debt! Hansen owes over a million dollars owes over $1 million to creditors and his multi-million dollar home in Connecticut is in foreclosure. Hansen also owes over $250,000 in back taxes. US Bank Trust is suing Hansen for foreclosure. The lender claims he owes $1,078,164.73. Hansen was recently arrested for allegedly writing $13,000 worth of bad checks. 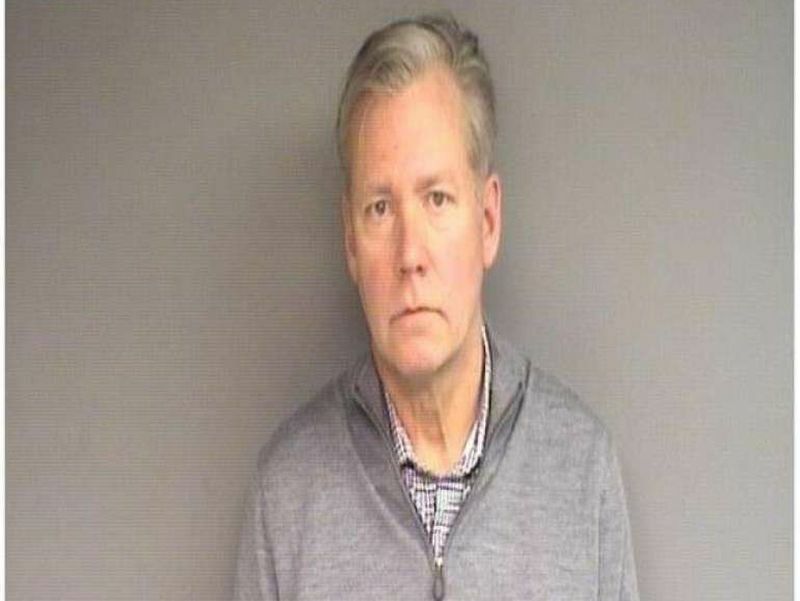 Hansen was also arrested Monday after a police investigation found that he had written $13,000 worth of bad checks to pay for marketing materials. The former To Catch a Predator hosted was charged with issuing a bad check and released on his own recognizance. Chris Hansen is accused of writing two bad checks to a vendor who produced 355 mugs, 288 T-shirts and 650 vinyl decals for the host back in 2017. In addition, TMZ is now reporting that Hansen has been evicted from his New York City apartment. This is all happening as the former Dateline host is in the process of divorcing his wife Mary Jo. Hansen’s “To Catch A Predator” was canceled in 2008 after suburban Dallas assistant district attorney Louis William Conradt committed suicide. Conradt exchanged photos with a person he believed to be a 13-year-old boy. A camera crew traveled to Conradt’s home when he failed to meet the boy. He killed himself as the crew entered the residence. NBC later settled a lawsuit filed against the network by the attorney’s sister.